Do you like MatchyMatchy.io? Share it with your friends. MatchyMatchy.io is a great and addictive multiplayer game from the popular .io game series that offers nine levels that you can play against the computer and a multiplayer mode where you play against players from all over the world. 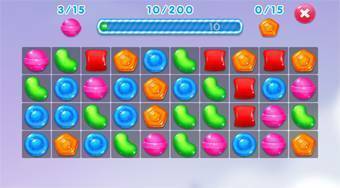 Connect three of the same types of candy and try to collect the required number of two candy colors before your opponent or computer.